These are images from a production of Brecht's "The Three penny opera." 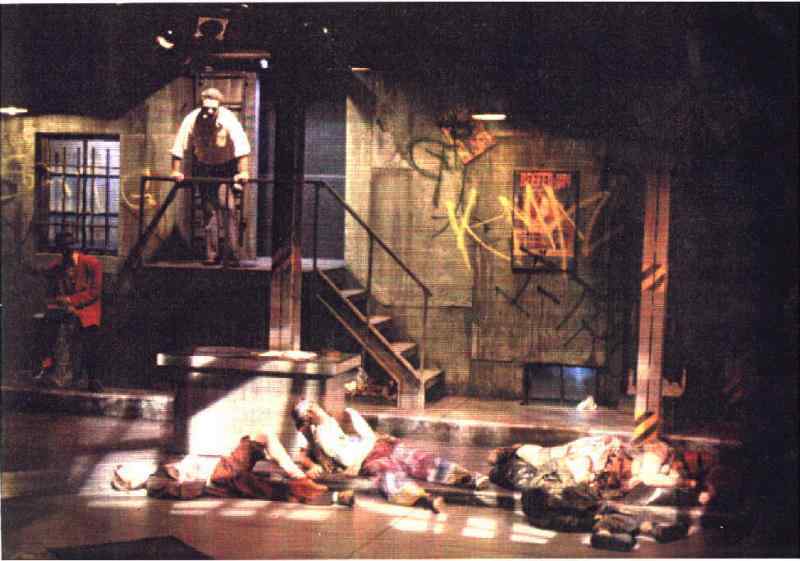 This production was staged in three quarter round and is set under the Chicago El tracks. 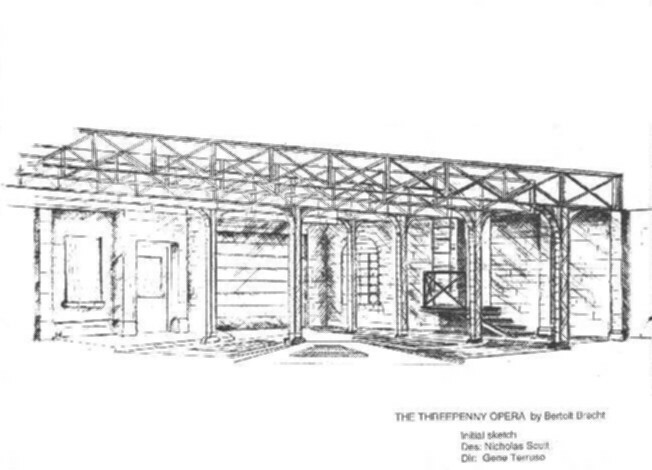 The first image is the initial design sketch and the second is a production photo.